Below are listed our handheld devices which can be used with our various EPoS systems. 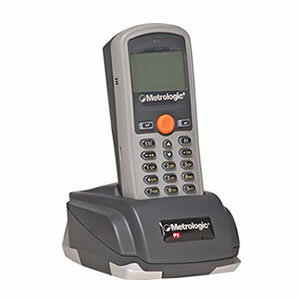 These wireless devices are designed for use as handheld waiter terminals, for stock taking (with integrated barcode scanner) and for remote order taking and CRM applications. 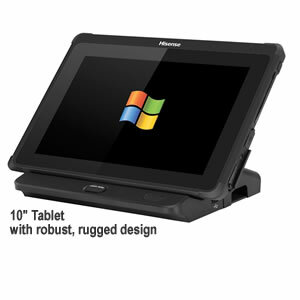 Our popular Q5 and T3000 packages support any Microsoft Windows tablet with screen size 7" and above. With our V4000 Restaurant EPOS System, you can also use your own iOS or Android device as a handheld waiter terminal. 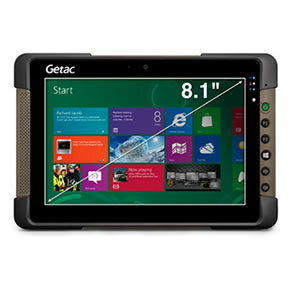 We recommend using a rugged device, with liquid-resistant features, with at least a 7" screen size, a good quality WiFi adapter and a professional Windows version (without games, multimedia etc). 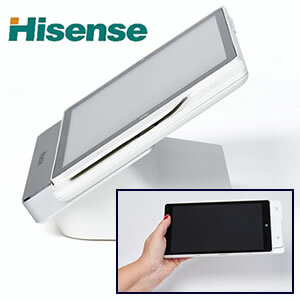 Wireless waiter tablet with docking station for use with our Q5 touchscreen restaurant EPoS systems. Allows table orders to be instantly transmitted to a kitchen printer or kitchen monitor system using your local WiFi connectivity (Internet connection not required). Lightweight. Use as a docked terminal with its stand, or lift-off for wireless portable WiFi use as a waiter tablet. 8" TFT Widescreen PCAP Touchscreen Display, Cherrytrail Z8350 Processor, 32GB Storage, 2GB RAM, Docking Station with I/O ports, Integral 3-track magstripe card reader, NFC, WiFi 802.11 b/g/n 2.4Ghz, Bluetooth v4.0, Micro SD slot, Front & Rear Camera (5mp/0.3mp), 8Ohm 0.8 Watt Speaker, 3.5mm audio socket, LED Indicators, Inbuilt Microphone, Removable Battery 4000mah 3.7v. Windows 10 Home Edition. Typical battery life when not docked: approx. 4 hours. Screen resolution 1280x800. Brightness 300 cd/m2. Docking station has 3 USB ports. One (5v) power port. RJ45 Ethernet port. Tablet has speaker, audio port, volume controls, power button, Micro USB port and HDMI output. 1 year manufacturers RTB warranty. 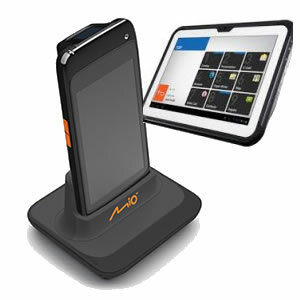 Pack includes Docking Cradle, UK mains charger, and SamTouch EPOS software license. Rugged design and lightweight. Use as a docked terminal with its stand, or lift-off for wireless portable WiFi or use as a waiter tablet with the docking cradle and study hand-strap. 10" TFT Widescreen PCAP Touchscreen Display, Cherrytrail Z8350 Processor, 32GB Storage, 2GB RAM, Docking Station with I/O ports, Integral 3-track magstripe card reader, NFC, WiFi 802.11 b/g/n 2.4Ghz, Bluetooth v4.0, Micro SD slot, Front & Rear Camera (5mp/0.3mp), 8Ohm 0.8 Watt Speaker, 3.5mm audio socket, LED Indicators, Inbuilt Microphone, Removable Battery 4000mah 3.7v. Windows 10 Home Edition. Terra PAD 1062 wireless waiter tablet for use with our Q5 and T3000 series of touchscreen restaurant EPoS systems. Allows table orders to be instantly transmitted to a kitchen printer or kitchen monitor system. 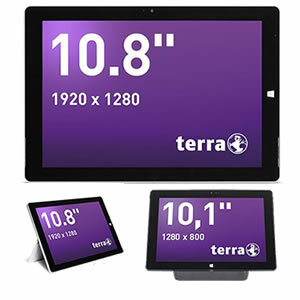 The Terra series of business-class tablets are an excellent German quality tablet from Wortmann AG with a robust metal chassis (magnesium & aluminum) and Windows 10 Professional. They have an excellent qualify WiFi IEEE 802.11 ac/a/b/g/n adapter and a 10.8" hi-resolution touchscreen. Micro USB and standard USB port. Weighs only 320g. Upto 13 hours battery life on a full charge (depending on screen brightness settings and use frequency). Intel Atom x5-Z8350 Processor (2M Cache, 1.92 GHz), 64gb SSD and 4gb memory gives good performance making it ideal for busy commercial environments. Optional Docking Station for counter-top use and easy charging (£95). Wireless waiter terminal for use with the V4000, Q5 and T3000 restaurant EPoS system. Allows table orders to be instantly transmitted to a kitchen printer or kitchen monitor system. Wireless waiter handheld for use with the V4000 touchscreen restaurant EPoS system. Allows table orders to be instantly transmitted to a kitchen printer or kitchen monitor system. Optional cradle, Lanyard connection for neck/wrist carry. IP54 Sealed Casing with 1metre drop resistance. The Optimus S is suitable for portable use with our Quickstore range of EPoS solutions for stock taking and receiving deliveries. 2MB RAM. Integrated laser barcode scanner. Easy to use menu-driven application development kit. Pack includes battery, charging cradle, power supply and USB interface cable. Pack also includes Windows SDK for basic applications. Software licenses installed on a tablet may not be transferred to another device. If your tablet is stolen or suffers damage, then you are advised to claim for a replacement tablet and software license purchase through your business insurance, obviously ensuring you have cover at the outset.